Online privacy concerns focus on the protection of “personally identifiable” information which an individual or customer reasonable expects to be kept private. As the term suggests, “personally identifiable” information is information that can be associated with a specific individual or entity. The only personally identifiable information WEVV-TV obtains about individual users through our web sites is information supplied voluntarily by the user. Users interacting with our sites may provide WEVV-TV with name, address, telephone number, e-mail address, domain name or URL or other personally identifiable information that WEVV-TV may use for its own business purposes. WEVV-TV will collect and use this information for the ability to provide and change service, to anticipate and resolve problems with your service, for billing purposes, or to create or inform you of products and services that better meet your needs. IP Addresses: An IP address is a number that is assigned to a user’s computer whenever that user is using the World Wide Web. Web site servers must be able to identify individual computers by their IP address. WEVV-TV collects IP addresses for the purposes of system administration security and to report aggregate usage information. WEVV-TV does not link IP addresses to any personally identifiable information. Computer settings: Settings, technical and other information from your computer, such as your operating system, browser version, connectivity, various communication parameters and other information related to the operation and interaction of WEVV-TV web sites may be collected by WEVV-TV. Except as otherwise provided in this policy, WEVV-TV will use such information solely in order to provide technically appropriate formatting of information provided by WEVV-TV. The collection of this information will not include any personally identifiable information about you or any individual user. Most WEVV-TV content and services are intended for a general audience and do not knowingly collect or store contact information about children under the age of 13. Some WEVV-TV content may ask for your full date of birth to ensure that they are not collecting information from children under 13 or to identify when additional steps may need to be taken when information has been collected from children under 18. In instances where a WEVV-TV service has actual knowledge that it collects information from children, or offers a service directed toward children as defined under applicable laws, it will comply with those laws. If you send a written communication (including an email) regarding the programming or operation of WEVV-TV, your communication may be placed in the public inspection file of that station or made available via electronic file access at the station. In either case, your communication may be subject to review by members of the general public, as required by Federal Communications Commission (“FCC”) regulations. Be advised that we are not responsible for information that may be disclosed if your communication is made available for review by members of the general public in compliance with FCC regulations. WEVV-TV will not sell, trade, or disclose to third parties any personally identifiable information derived from registration for or use of a WEVV-TV service without the consent of the customer, except as required by subpoena, search warrant, or court order pursuant to applicable law, regulation or legal process or in the case of imminent physical harm to the customer or others. 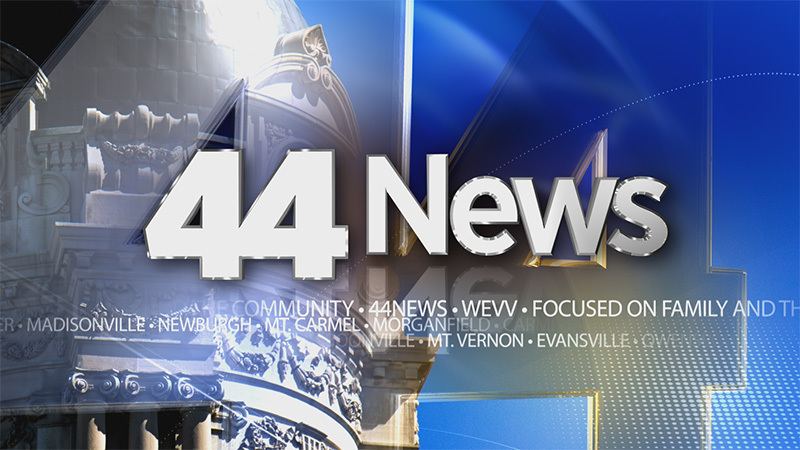 Any user who does not wish to receive further contacts from WEVV-TV may write to info@wevv.com or 477 Carpenter St, Evansville, IN 47708. WEVV-TV will protect the confidentiality of its customer’s personally identifiable information to the fullest extent possible and consistent with law and legitimate interests of WEVV-TV and its employees. To protect the loss, misuse, and alteration of such information, WEVV-TV has appropriate physical, electronic and management procedures in place. WEVV-TV is not responsible for the content or the privacy practices of non-WEVV-TV web sites, including web sites reached through a link on a WEVV-TV web site. Other web sites may have different privacy policies, or no policy. Users should review the privacy policies of any web site before providing personal information.